Here, seven pizzas that are better than delivery for watching the World Cup. Brazil isn’t cheap, as World Cup visitors have recently discovered. Prices for a pepperoni pizza in Rio can reach $35. Luckily, you can make one here at home for much less. Here, seven pizzas that are better than delivery for watching the World Cup. This incredible no-cheese pizza is topped with only tomato sauce and oregano. 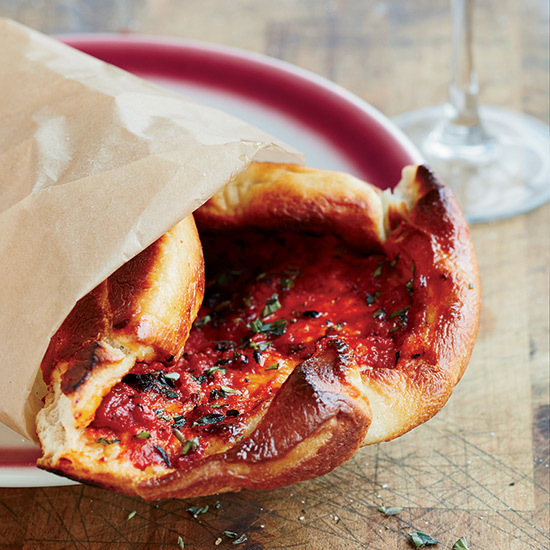 This easy pizza recipe is adaptable to any tasty leftovers you happen to have. Here, the toppings include tender meatballs along with plenty of cheese and fresh herbs. “I don’t know if I invented this combo, but since I don’t remember stealing it from anyone, I’ll take the credit,” says chef Michael Schwartz. Have breakfast for dinner with this fun pizza featuring creamy scrambled eggs and crispy bacon. This sauce-less white pizza is topped with creamy Fontina, thin slices of squash and arugula. Deconstructed nachos inspired this healthy vegetarian pizza. Pizza for dessert has never tasted so good.